The sloth robot was named for its claws, not for its speed. So don't get any funny ideas. 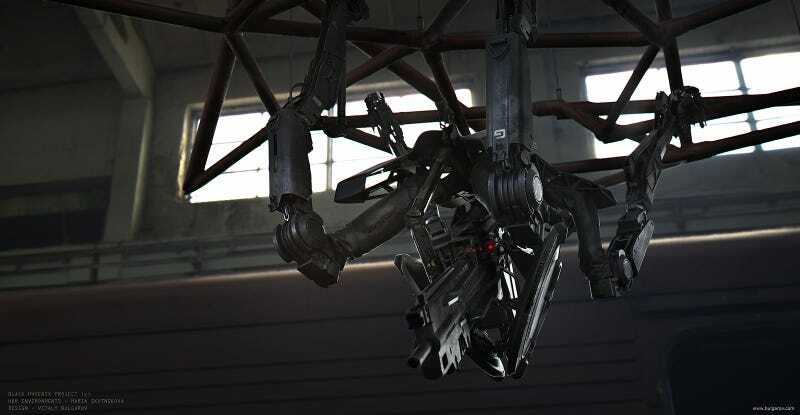 This amazingly awesome sloth bot was designed by concept artist Vitaly Bulgarov. You can see more of his work on his website.